Four days ago, we have come home again. Now, it's time for a résumé on the trip to Eastern Europe. 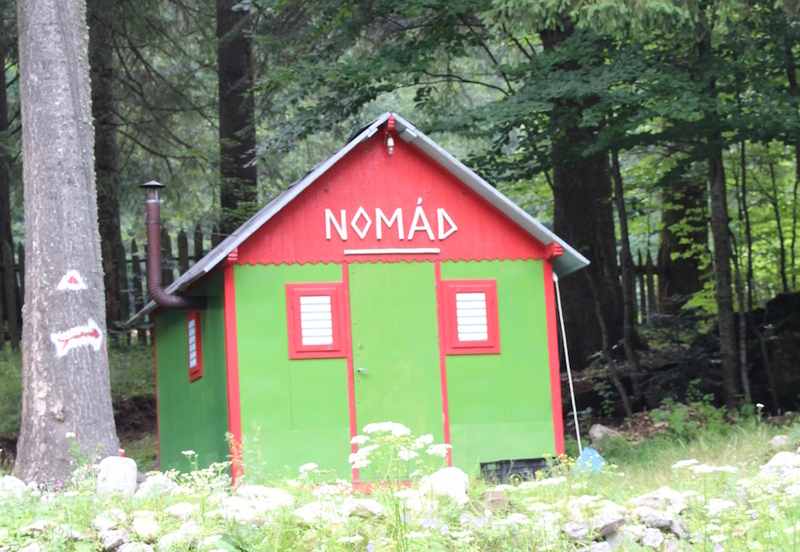 As tourism is not that widespread so far, Eastern Europe and especially Romania and eastern Hungary seem to be insiders' tips still, especially if you travel away from the beaten tracks and don't go to big cities or tourist hot-spots. Travelling with children was no problem at all, on the contrary, if you travel as a family, you are welcomed even more intensively, because everybody simply loves children there! The nature and countryside are beautiful and there are a lot of remote places to be discovered hiking, cycling or on horseback ... which we did not do so far as our youngest daughter simply is not yet enjoying that kind of travel. The Land Rover did its job without any problems. 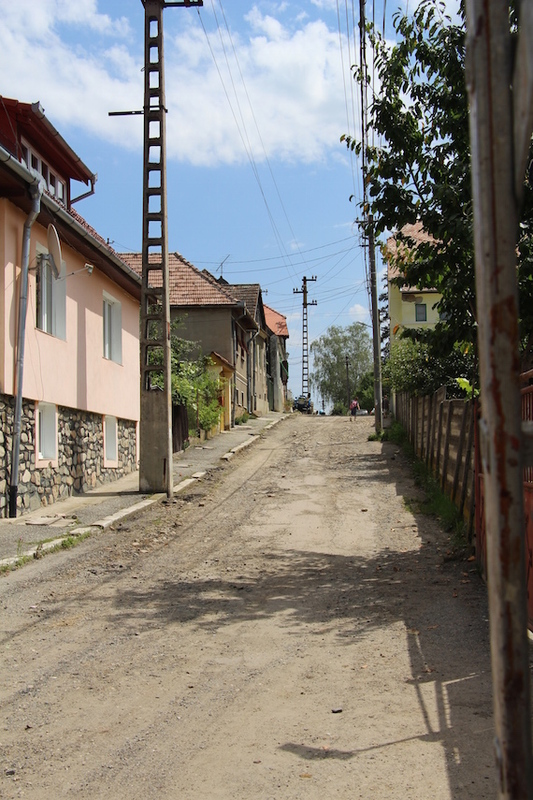 It certainly is possible to travel the same route with a stock car of any make, but the conditions of some roads, especially in Romania, made travelling much easier (and probably even faster) with a high clearance and 4x4 engaged! Sóley (what we interpreted from her few words): "Being in the car." Juliane: "Intensive time spent together with the family." Mischa: "The wonderful people in Eastern Europe." What would you change for the next trip? Anouk: "Spending even more time together with the small family only." Juliane: "Staying longer at certain places and really enjoy Slow Travel." 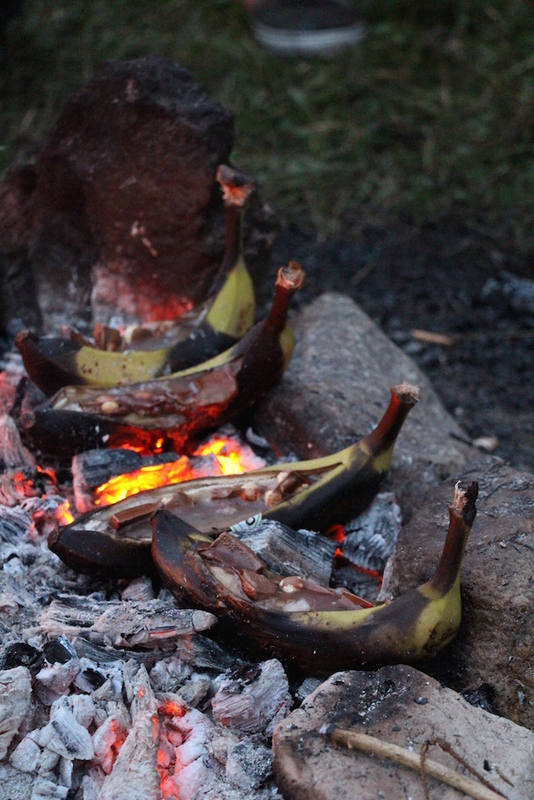 Mischa: "Going wild-camping and sitting around / cooking on the campfire more often." Sóley (just guessed): "The hammock." Anouk (just guessed): The "Opinel children's pen-knife." Juliane: "The Eagle Creek Pack-It Cubes" as they make packing and unpacking clothes so neat and easy. A real space and nerve-saver!" 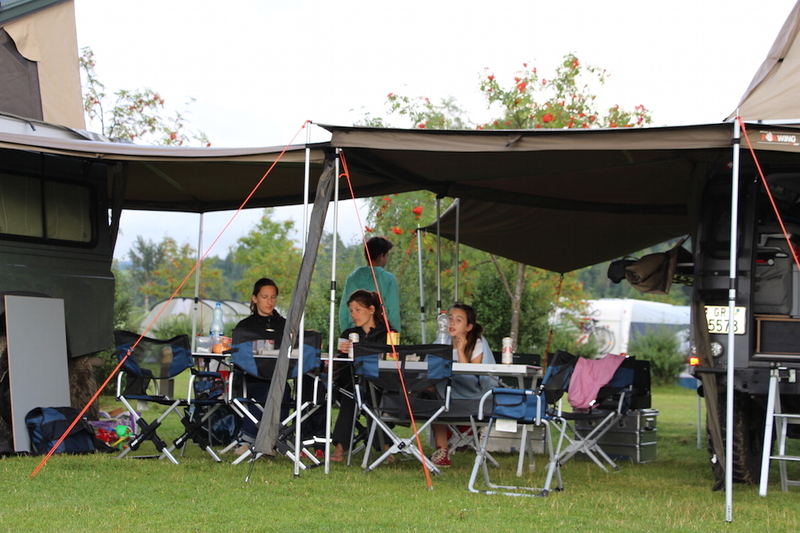 Mischa: "The Foxwing Awning, as it provides immediate shelter from sun or rain and two of them can be combined (including side panels) to a wonderful tent-like awning comfortably suitable for eight to 12 persons." 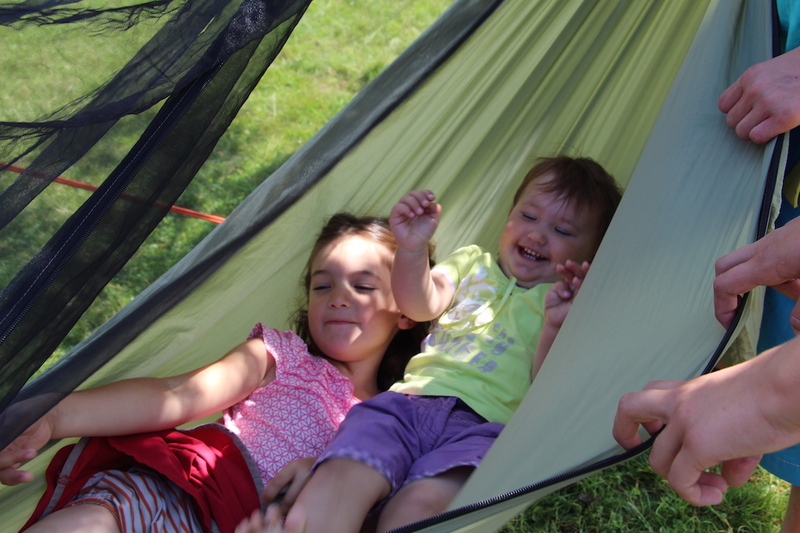 The two girls in the hammock. Life "On the Road" includes food, drink, entry fees etc. 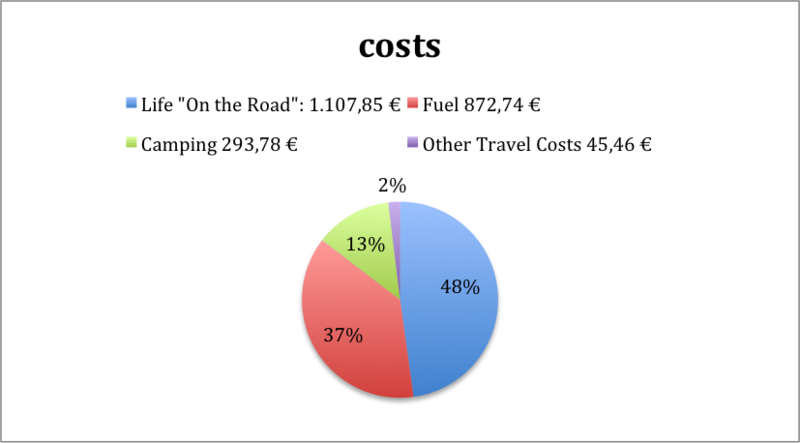 "Other Travel Costs" include ferries, road toll, public transport etc. Average money spent per day: 80,00 €. 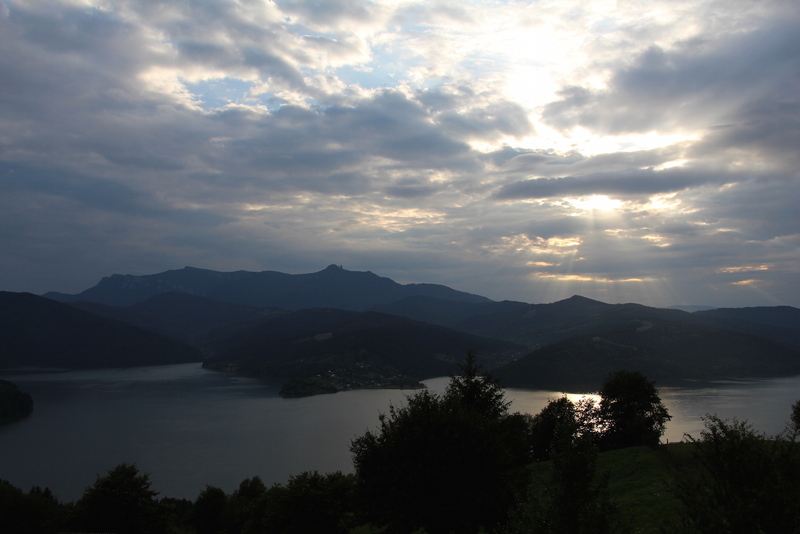 Coming back from the summer trip to eastern Europe, it is really sad to hear all the bad news. In western Africa people are dying of Ebola and, according to Medicins Sans Frontiers, an end to the epidemic within the next six months doesn't seem to be realistic. All our thoughts are with our friends' families who live in Senegal and the surrounding countries. Naturally, we have to rethink our travel ideas on the basis of this medical state of emergency and, also, the political situation in many west African and north African countries has not changed for the better! What other possibilities are there if our (open) plan for Western Africa doesn't work? The Eastern route through Africa has become even more difficult with terror in Syria, Iraq and a really tense situation between Israel and Palestine. Also, the last ferry-link between Turkey and Egypt has been finally terminated last month. So, there are only three real possibilities left, it seems: 1) shipping the Landy to South Africa and from there discovering South Africa, Namibia, Botwana, Zimbabwe, Zambia, Mozambique, Tansania, Kenia and Ethiopia, or 2) shipping the Landy to the USA and then travelling the Panamerican Highway down south, or 3) shipping the Landy to South America and discover that part of the world intensively. What would you suggest?? Give us your ideas! Also, as we make this blog for all of you, feel free to give us your ideas, comments et cetera concerning future contents etc. Please note that we will unapprove any comments that include advertisements or links to online-shops. 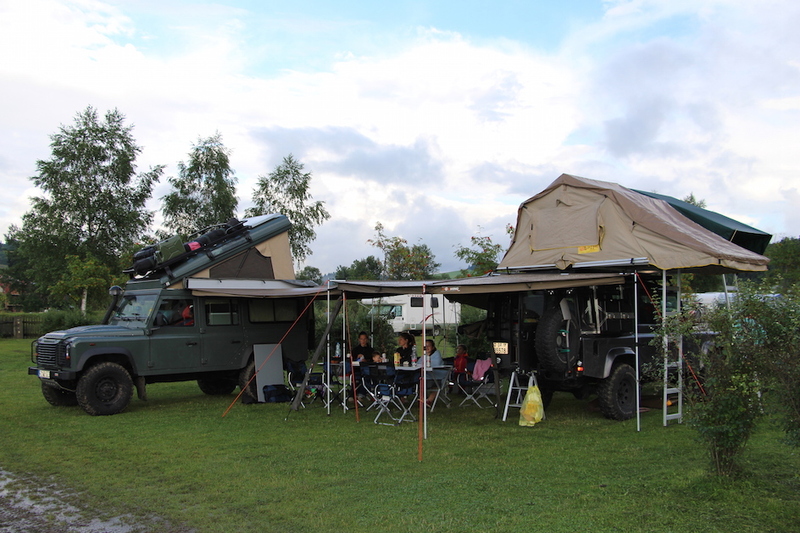 This entry was posted in Eastern Europe Overland 2014, General Info and tagged Romania, Travel Costs on 19. August 2014 by Juliane und Mischa. ... somebody, well, nearly everybody greeted you when you passed them by or happily waved back when you waved at them even though you never met before? ... you were invited to 8 cl shots of home distilled whatever-fruit-schnapps by a complete stranger just after arriving at a "campsite" (over 50° proof, after hours of driving, in the direct sun with over 30 °C)? Soooo tasty and relaxing! ... your children were given cookies, crisps and sweets just because people think they are cute? Romanians love children! ... your children were kissed by other children just passing by. ... people stopped on the road for a small talk about travelling, children, Germany, Romania? ... people were hospitable beyond any expectation even though they are terribly poor? A long time ago? Never happened at all? Then hit the road and go to Romania! Forget its reputation in the western world, forget negativeness and fear and open up to Romania’s people! Far more important than all sights a country can provide - even though they have a lot of them here in Romania - are its people(s)! Impressive churches of all ages, made of wood, stone, with silver or golden roofs. Old people with thousands of stories deeply engraved into their withered faces sitting next to the road. Fairytale impressions of an age long ago. People with scythes, complete families travelling on horse-drawn carts, following old craftsmanship, the beautiful young girl selling fruit along the roadside. Please don't get us wrong here ... we know that all this means life-long hard work and is not romantic at all. But they have something that seems to be getting lost (or sadly is lost at all) in many western countries: family and community sense, a deep and friendly willingness to help, and a deep connection to land, weather and people that is worth far more than material wealth! Hundreds of dogs barking the night away. People working on the fields living in plastic shacks. Roads with potholes the size a 4wd can get lost in (the roads reminded me of Kingsley Holgate's essay on the African Pothole). Still, wherever you look, there are a lot of roadworks going on. People selling fruit and vegetables, mushrooms and any kind of goods alongside the roads (we even saw people selling home-distilleries). Everybody is consequently not following any traffic rules. As you can see, Romania is a country of many contrasts! We hope that the spirit of Romania doesn't get lost in the development process in the following years. From Niedzika in Poland we went to Slovakia where on the first "campsite" near Veláty (it was an outdoor swimming pool, actually) we were invited to a party of the local hunters. They sang the night away with an old man playing the harmonica and a young man playing the guitar. 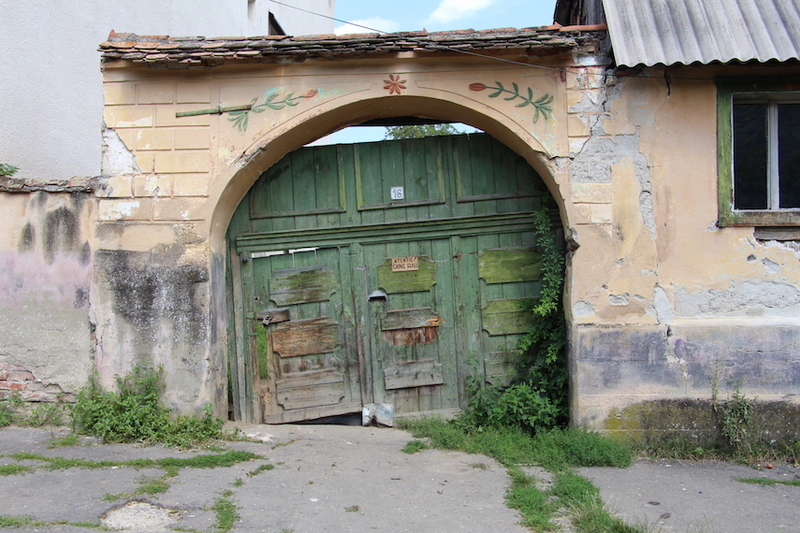 After falling asleep to the singing and a short but very relaxed night we went on our way East taking small country lanes and an "African style" ferry (connecting Zemlénagárd and Tuzsér) through Hungary. 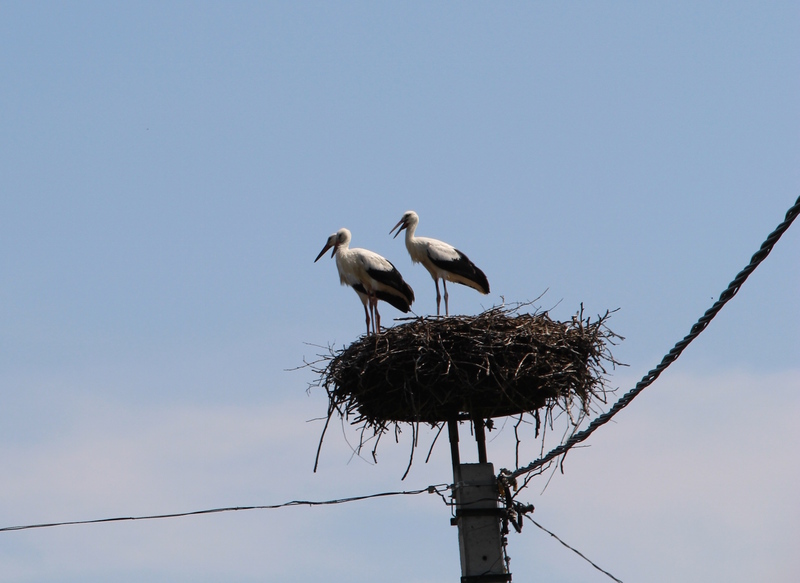 Hungary for us is the country of storks. We lost count of them. In every village, you find at least three nests with three to five (!) storks in each of them ... hundreds, thousands alltogether! Here the first horse-drawn carts appeared in the regular traffic. Hibiscus bushes line the roads. People here are dressed the way people were dressed in Germany about 40 to 60 years ago (apron dress and headscarf; I remember my old great grandma wearing the same clothes about 35 years ago). At the Hungarian-Romanian border near Satu Mare (RO) we did not feel comfortable at first (people "aggressively" begging next to a money exchange office), but going north, travelling through the small villages in the Carpathian mountains (Baia Mare, Desesti, Borsa, Bicaz, Gheorgheni/Niklasmarkt) meeting people on the streets, asking for the way and being guided to the next campsite, changed this impression to the positive. From there we went to Cisnadioara/Micheldorf near Sibiu/Hermannstadt in Transsylvania/Siebenbürgen. 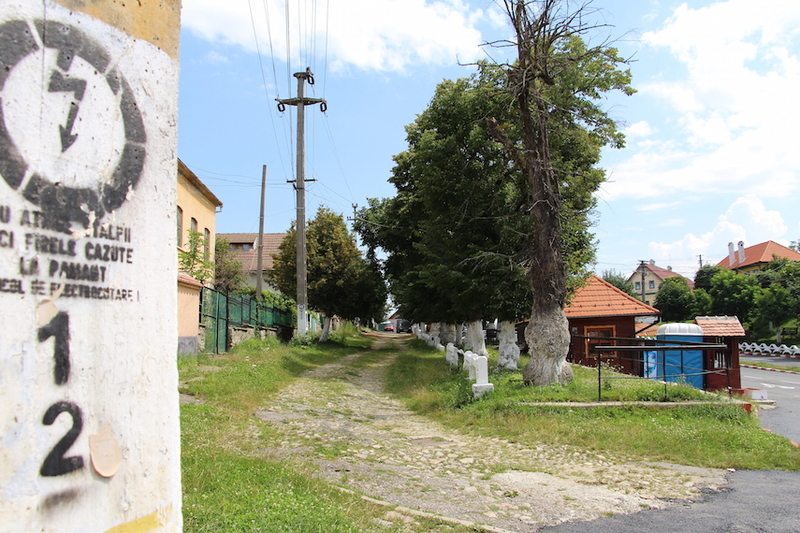 Here, until their eviction after the second world war and another wave of emigration to Germany after 1989 a lot of Germans lived peacefully alongside Romanians. The German culture is still kept alive here and many people address you in German when they meet you on the streets. We leave tomorrow and try to find "Jacob the American". Wait and see! 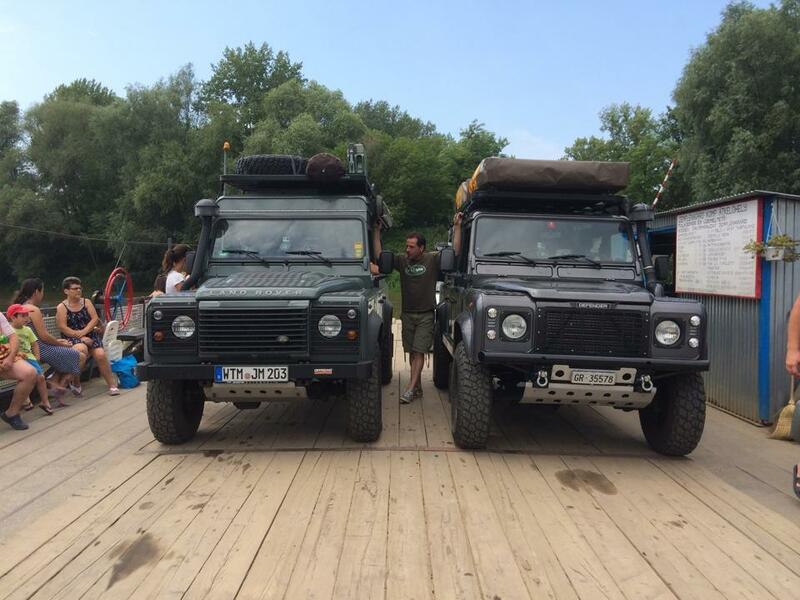 This entry was posted in Eastern Europe Overland 2014 and tagged Romania on 2. August 2014 by Juliane und Mischa.